American boy band Mindless Behavior came on the music scene in 2008 with the help of Keisha Gamble, Walter Millsap and Vincent Herbert. Their debut album # 1 Girl was released in 2011 and debuted on US Billboard 200 album chart at number seven. 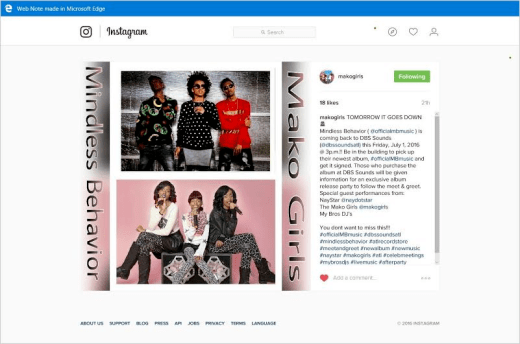 Mindless Behavior has toured with the likes of mainstream artist as the Backstreet Boys, Justin Bieber and Jason Derulo and was the sole opening act for the one and only superstar Janet Jackson. The list goes on and on being the headliner for BETs first Closer To My Dreams tour alongside various other artist and also headlined the SCREAM tour. After their second album and a feature film documentary in 2013 the all boy group experienced some turbulence with the lead singer leaving and another one being released from the group managed to be resilent and weather the storm and release their third album on June 24, 2016 with Princeton , EJ and newest member Mike. Do you mind if I quote a few of your posts as long as I provide credit and sources back to your site? My blog site is in the very same niche as yours and my users would genuinely benefit from a lot of the information you provide here. Please let me know if this alright with you. Thank you!